I didn’t have a chance to get this out last week so here it is. Better late than never. Month by Month – quilt, bind, label and be done with this baby – This is half quilted in March but I was not able to finish quilting it and will move this to the April list. Tell It To The Stars – this one is next on the to be quilted list but I’m not sure I’ll be able to quilt, bind, label this so soon after Month by Month. I’ll keep myself open on this one. I do want to at least get the backing prepped for this. – This is started and is hanging on my design wall but is not yet finished. Moving this to the April list. Moon Glow – I put this and Raining Cats and Dogs on the list but only because I need to know what’s next. 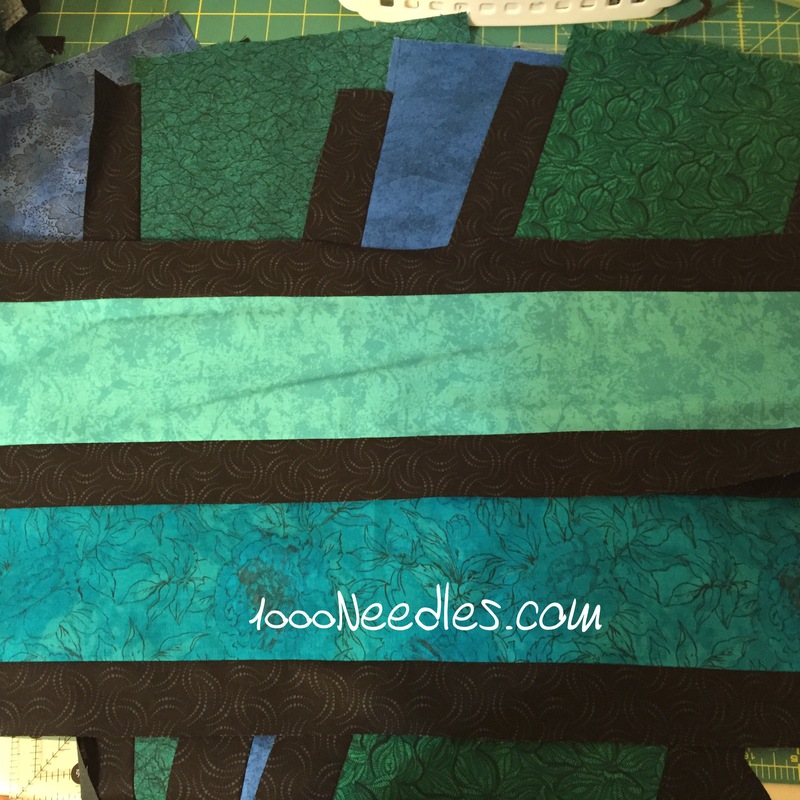 If it’s not on the list, I may get stuck in a rut… – I started working on this at the beginning of March before I had the clue for Scrapitude and never put it away. There are so many pieces on Month 12 for Moon Glow that I felt that I should just finish it so that I wouldn’t mess it up. It’s still on my sewing table and I’m hoping to get this done pretty soon. Stephanie Japel’s Hats Four Ways – I plan to knit 1-2 rows daily on the first project so that I can actually get this class done. – I probably knitted the first few days of March and then stopped. I’ll have to keep this on my list for April. Bag Making Class: Drawstring Bag and Bucket Bag – I finished this class on Sunday, 3/1. But it was part of my list for this month. – This one was actually done. I did it early in March so I get to complete this one. Yay! I thought I had a lot in the works! However, I tend to let my stash feel like something in the works. Good luck! You are making progress!